So many beautiful yellow trees this time of year, but pretty soon all the leaves will be on the ground. We will be losing most of our NYC tree leaves tomorrow because of the hurricane! Stay safe everone it the storm's path! My trees are done. Tomorrow I rake. What Pat said is, unfortunately, probably true. We'll have to confine our leaf-peeping to the Internet—so thanks for this pretty picture! Yes but it always is a pretty view autumn specially if you are living in a country with a lot of coloring trees. I enjoy looking on trees like this. I sooo love the color of fall. By the time I get home from my five months in India in mid-Nov, I imagine there won't be any yellow left! Nice to see the autumn colours. Looks like you captured this tree just in the nick of time...beautiful!!! I'm looking to seeing all the yellow posted by everything. Thanks for hosting. I love autumn because of the trees and the breeze. That photo of yours is so awesome. I'm waiting for the trees here to turn on such color. I wish there was an email way to subscribe...I would be more likely to remember to post with a subscription. Love the blog...will continue to try to remember. 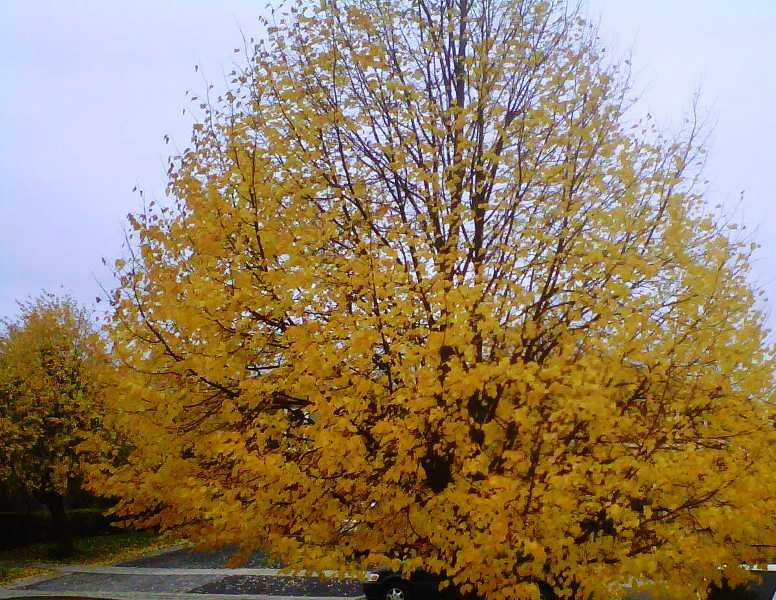 Beautiful yellow trees, mine are pretty much done, I've been raking, but we had beautiful fall colors. Thanks for hosting this wonderful party.